Join the adventures of Holly, a young fairy princess, and her best friend, Ben the elf, in a funny and enchanting world where elves and fairies live alongside animals and insects, and flowers and grass rise above the tallest towers. 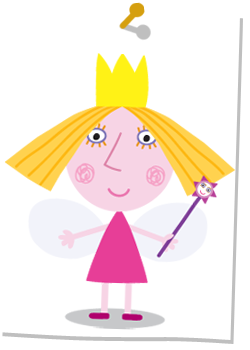 Holly is a young fairy princess who is still learning how to do magic properly, so her spells often don't work out quite right. Holly lives with her daddy, mummy and little twin sisters in the Little Castle, which stands right in the centre of the Little Kingdom. 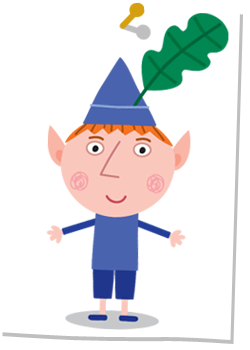 Ben is a young elf and is Holly's very best friend. He has a happy-go-lucky nature and only gets a bit fed up if Holly uses her fairy magic to give herself an advantage when they are playing games. Ben lives with his family and all the other elves in the Great Elf Tree. 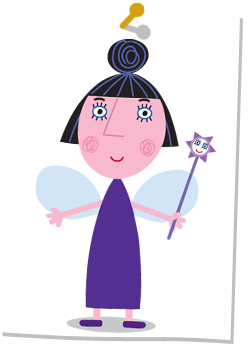 Nanny Plum is Holly, Daisy and Poppy's fairy maid and teacher. Being a grown-up fairy, Nanny is very good at flying and magic. But sometimes even Nanny Plum's spells don’t work out quite as she expected. 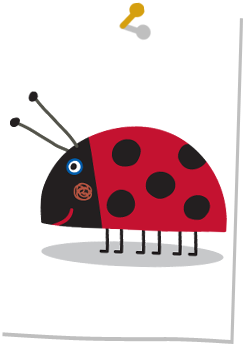 Gaston the Ladybird is an extra special friend of Ben and Holly's. He is very much like a dog – he barks, pants when happy and loves fetching little sticks. 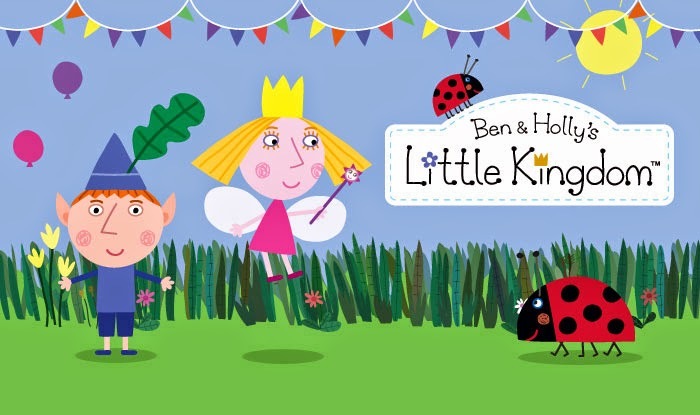 Being a ladybird, he has wings just like Holly's so he often gives Ben a lift on his back. Gaston loves eating very smelly food and he lives in an extremely untidy cave.